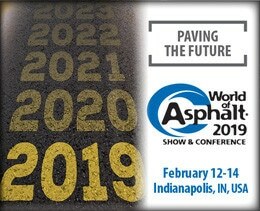 2018 World of Asphalt in Houston was a success! 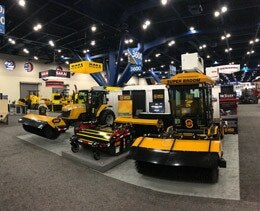 The 2018 World of Asphalt in Houston was a success! Challenger 1/SCM 100 model: Front Mount Sweeper attached to a Massey Ferguson Tractor. Thank you to Kelly Tractor and AGCO for Featuring the Massey Ferguson tractor with the Challenger 1 Sweeper. Thank you to all of our customers and potential customers for visiting our booth. It was our pleasure to meet and share information on Smith Challenger Sweepers. 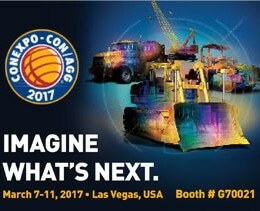 Smith Challenger Manufacturing will be an exhibitor at the Con-Expo in Las Vegas! 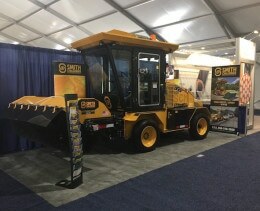 We are excited to display our sweeper models at the largest construction expo in the U.S. We invite you to visit us at Booth # G70021, in the Gold Hall. Con-Expo Dates: March 7-11th, 2017.